A carved wooden honour roll commemorates those from the Mornington District who died in service or were killed in action in World War One. 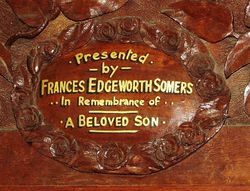 The roll was presented by Frances Edgeworth Somers who lost two sons in the war. 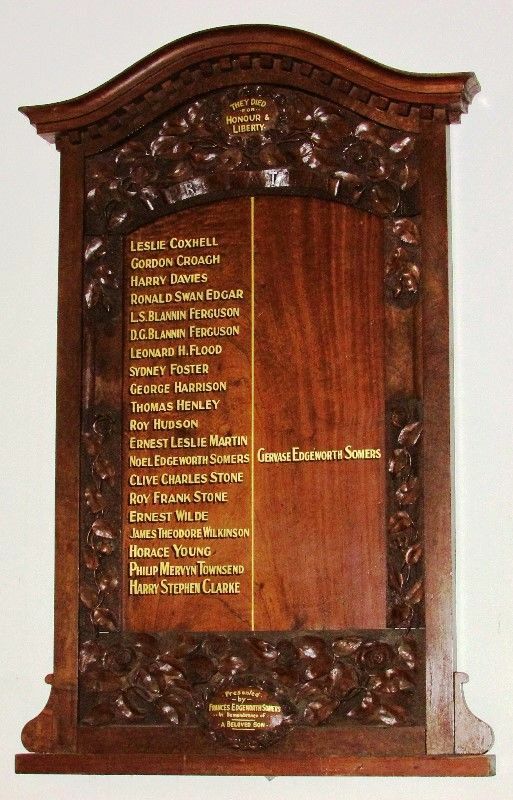 Noel Edgeworth Somers was killed at Gallipoli in 1915 and Gervase Edgeworth Somers was killed in France in 1917.